aColor achieves first year goals of the project with a series of public demonstrations. Air, water surface and underwater inspections with just one autonomous robotic system. AColor is a three-years project which will develop autonomous and collaborative capabilities between aerial, underwater vehicle and surface vessel. From communications and connectivity, to obstacle detection and path planning. This project addresses interesting evolving technology in autonomous systems. The common missions for the three subsystems include underwater surveys (mapping/inspections), recovering and launching fixed wing UAV from moving surface vessel and search and rescue (SAR) operations among others. The project “Autonomous and Collaborative Offshore Robotics (aColor)” has started in January 2018. The project is done with the collaboration of Tampere University of Technology (TUT), Tampere University of Applied Science (TAMK) and Alamarin-Jet Oy. Besides scientific research and development also four public demonstrations are planned in order to demonstrate the capabilities of autonomous systems. 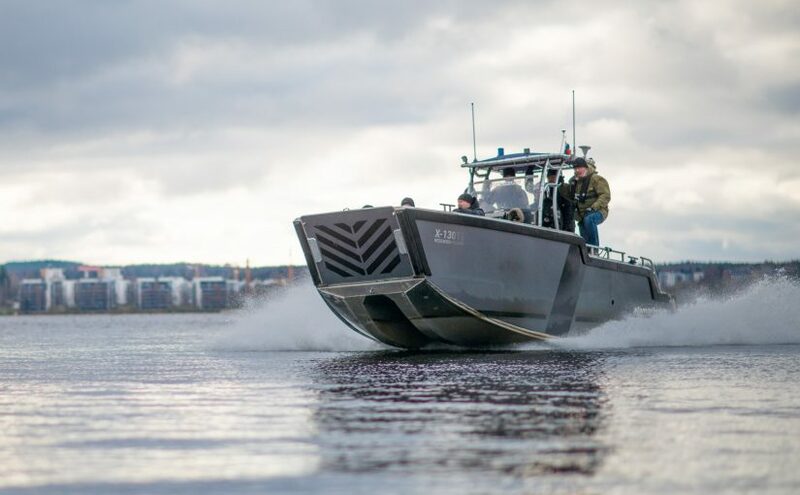 Such capabilities are focused on three subsystems: Unmanned Surface Vessel (USV), Unmanned Aerial Vehicle (UAV) and Autonomous Underwater Vehicle (UAV). The public demonstrations will be organized in Tampere area during the next three years. 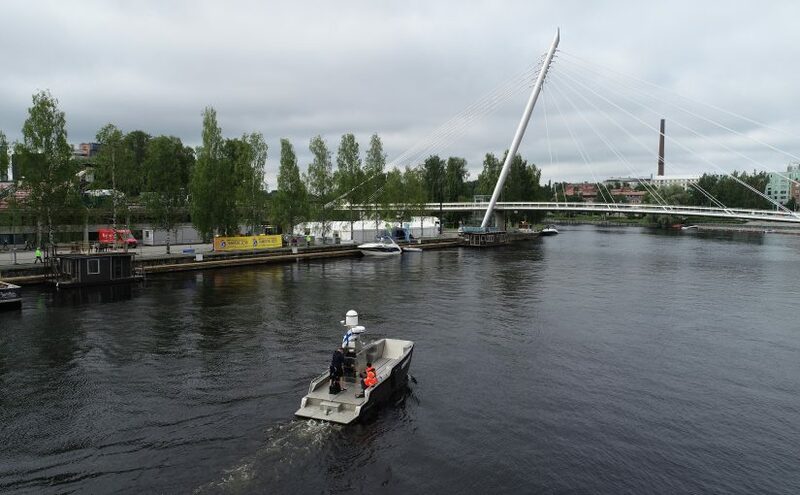 Already confirmed tests include an autonomous boat route between Laukontori and Viikinsaari during one week in summer 2018, the autonomous boat and underwater vehicle operating in Sorsalampi (beside Tampere Talo) at Manufacturing Performance Days 2019 in spring 2019 and the UAV streaming live video feed in autumn 2019 at Subcontracting Trade Fair in Tampere. The complete demonstration of all subsystems working autonomously and in collaboration will be held at the end of 2020. This final demonstration aims to demonstrate all capabilities of the offshore robotic system. It will include various scenarios such as a fixed-wing UAV landing on USV, the autonomous docking operation for the USV and the search, underwater mapping and surveying using AUV and rescue missions utilizing enhanced situational image formed with fusing sensor data from both USV and UAV. The first task to accomplish is the demonstration of the autonomous capabilities of the USV, using the Alamarin-Jet Research Vessel. This task will also demonstrate the initial competences of communication from shore control centre (SCC) to the USV and simple obstacle avoidance features in inland waters with heavy traffic. Furthermore, there will be initial demonstrations for the rest of subsystems (aerial and underwater vehicles). These will test some basic capabilities and the initial steps for the further collaboration between the complete offshore robotic system. During the “Kick-off” meeting, all different project partners shared a common interest on achieving all objectives for the project. AColor-project will give an exciting working environment for the next three years.